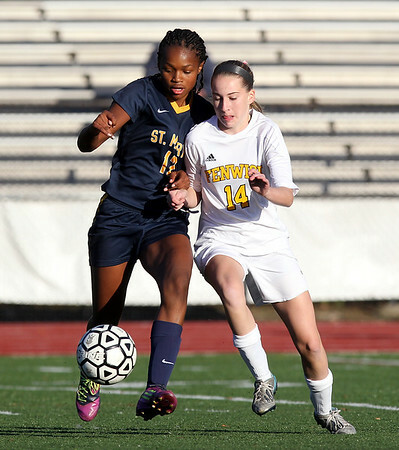 Bishop Fenwick sophomore midfielder Hannah Durkin (14) attacks St. Mary's freshman forward Marnelle Garraud (12) as she tries to protect the ball. DAVID LE/Staff photo. 10/20/14.